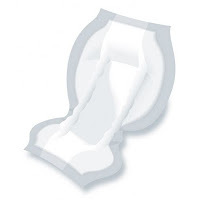 How can incontinence undergarments help you maintain your dignity? In the modern day and age, healthcare and confidentiality go together. There are certain details about a person’s health that are totally confidential. Sometimes, HIPAA plays a very important role in patient confidentiality. On other occasions, it is very important to maintain confidentiality out of good tact. This article will explore some of the many issues associated with incontinence undergarments and confidentiality. It will also discuss HIPAA related issues and incontinence undergarments. 1. Make sure that your healthcare business has plenty of adult-sized incontinence undergarments on hand for its patients. Many businesses have been fined heavily in the past for lacking the appropriate size, type, and variety of adult-sized garments. Health departments in states are on the lookout to make sure that hospital’s and other care facilities have plenty of the right sized incontinence undergarments on hand for their patients. Child diapers are often too small and can cause very serious problems in the form of rashes and infections. 2. HIPAA is very serious about keeping track of orders for each patient. Often, large hospitals and nursing homes order products in bulk. These are kept in general storage and are not directly traceable to a patient. If you are a home health provider it is very important to not keep a list of supplies for each patient with ordering data. Orders are to be sent to suppliers without any information that can be traced to a patient. If a patient’s information is necessary, it must be encrypted in a manner so that a third party cannot trace the order of incontinence undergarments to a single patient. 3. Make sure that incontinence undergarments are changed on an appropriate basis. If a patient files a complaint, they have a legitimate grievance that should be dealt with in an expected level of confidence. Confidence means that the patient’s complaint will not identify them as the origin of the complaint. Making sure that your patients have their undergarments changed on a regular basis is very important. 4. Provide your patient with any information they may request on incontinence undergarments. This information must be supplied with the utmost confidence. if a patient wants samples of an incontinence undergarment, they should have access to the company’s standard sample allotment. Sometimes, companies will give each care center a certain number of free samples to use for a set business period of the year. 5. Always only discuss the patient’s incontinence issue with them. Do not discuss a patient’s incontinence problems with either a family member or other party unless that person is responsible for that patient's care. Breaking confidentiality, even about incontinence will require that the appropriate measures be taken to protect the patient. 6. Make sure that you always address the patient’s interaction with the product in a manner that discusses their experience with it. Do not bring up the patient’s incontinence issue. You can assess the patient’s success with incontinence undergarments by figuring out how they respond to it. Addressing the issue of incontinence will make them feel uncomfortable. Confidentiality, when dealing with a patient’s incontinence is a very important factor to consider. Not only is it against the law to divulge information inappropriately, you also risk the patient’s self-esteem. Incontinence undergarments for patients are very important to helping a person overcome a problem that is part of a medical condition. If a person needs diapers or other similar products, it should be discussed with the appropriate people in a very sensitive manner. Making sure that a person’s rights are respected in regards to privacy is very important because it makes sure that they are getting the best healthcare possible. Your doctor or supervisor can go over all the HIPAA rules about incontinence undergarments.